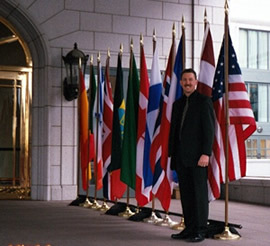 In February of 2002 traveled to Salt Lake City and worked for a company providing security during the Winter Olympics. We provided uniformed & plain clothed, armed & unarmed private security services to designated critical infrastructure in and around Olympic venues. While I was away for 30 days my wife Kimberley ran Delta Protective Services, our California based private security & investigative business. I arrived about a week before the Olympics began so I, along with a crew of about 50 other graduates from Executive Security International, could prepare. This week was spent receiving mandated Utah State security and firearm training and performing advance work on our assigned job sites. I also helped determine the best way to organized and deploy our team of agents. My first assignment was for the Utah Department of Transportation (UDOT) and used about 28 of our personnel. During this assignment we worked in conjunction with the SLCPD, Utah Highway Patrol & FBI under the direction of the Secret Service. The UDOT detail was one of the largest deployments we had and provided much satisfaction for a job well done. This detail accounted for about 85% of the time that I spent in SLC. Another of our assignments was for downtown hotels. I got an opportunity to work at the Hilton & the Grand America. I also worked a detail for MacDonald’s Restaurants but my favorite assignment was working the NBC detail within the Grand America hotel. The hours were grueling but the job was rewarding. During the course of my thirty days at the Salt Lake City Winter Olympics I was only able to take two days off, the first of which was only after working twenty straight 12-hour shifts! During my first day off I had the privilege to attend an Olympic Medal awards ceremony! The other day off I took sight-seeing around the beautiful Salt Lake City area. My coworkers were a top-notch team of security professionals! Most were, like myself, graduates of Executive Security International and had received the best training available. This coupled with their extensive experience in domestic and international protection created an outstanding working environment. The people of Salt Lake City were great hosts and the volunteer spirit of the community was unmatched. This is such a beautiful city! I was often awestruck at the sights around me, especially the stark contrast of a big American city at the base of the magnificent Rocky Mountains in the depths of winter. The learning opportunities for anyone working this event were phenomenal. The lessons learned on a daily basis and the relationships made last a lifetime. I am grateful for my involvement in this historic event and am proud that there were no significant security related incidents during the 2002 Winter Olympics. This was certainly do to the “Not on MY watch” attitude of all the security, protective and law enforcement personnel during this historic event. Your next event may not be the Olympics but if you want an “Olympic” level of service and protection then please contact me or any of the staff at Delta Protective Services. We look forward to the opportunity to serve you! We recently became aware of a news item that has potential staggering implication for the safety & security of your business information including personnel & financial records; literally anything that has ever been run through your copier. 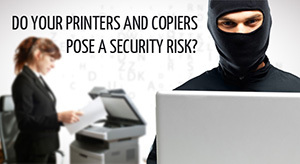 The risk comes from the hard drive that is an integral part of any digital copier. Typically, an image of each and every document that has been run through the machine may be stored on this hard drive. 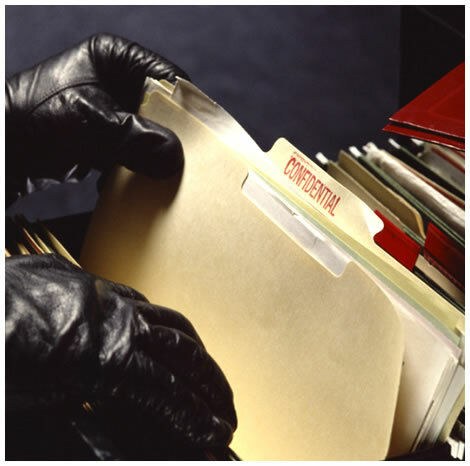 This includes documents that were copied, printed, faxed or scanned. At the end of your lease when the machine leaves your possession these document images remain on the hard drive within the copier and are easily accessed by anyone with the correct software, available for free on the internet. This information is potentially damaging to your business and a boon for anyone involved in information theft. In cases of protected information like medical records & credit reports your business may be in violation of statues and subject to fines. Delta Protective Services is taking the necessary steps to ensure that your information on our business machines is properly protected and will NEVER be released accidentally. Follow us on Twitter or Join our Facebook page by clicking on the icons below keep informed and protect your security, safety & piece of mind. Protecting yourself from this threat is difficult because the signals are hard to block. Here is a video news story about this threat. This scam has been around for a while but seems more prevalent lately because I’ve received the below message from three of my friends in the last week. Here’s the message to watch out for. I'm sorry this is coming so sudden, I am in some terrible situation right now and need your urgent assistance. Some days ago,I came down to Scotland,UK on a short vacation,unfortunately I got mugged by some hoodlums. All my cash,credit cards and phones were taken at gunpoint! It's such a traumatic experience . right now I'm stranded and need help getting back home. I've been to the embassy and the Police here but they're not being helpful in any way. the good thing is I still have my passports. Just don't have enough money to get back home. Please I need your help here ! promise to refund you right as soon as I'm back home in a couple of days. What’s this scam all about? The scammers hacked your friends email account and then sent this message out to EVERYONE in your friends contact list. The idea is to use the subject’s credibility and personal relationships with their friends to get a gullible friend to send the scammers money, usually via Western Union. 1. Don’t send money – your friend is fine. Call them and check on their welfare if you like. 2. Let your friend know – In most cases the subject of the scam doesn’t even know that these messages went out. Contact your friend and let them know that they’ve been the subject of this scam. 3. Did I mention “Don’t send money”? 1. Try to change your password – In all likelihood the scammers that got your email password changed it as soon as they could. This way they lock you out of your own email account and prevent you from interfering with the scam. 2. Try to use the “password recovery tool” – In all likelihood they changed the codeword for this tool also, again to keep the scam going. 3. Contact your email provider – Let the support department of your email provider know what’s going on and ask them to put a stop to it. You’re not the first person that this has happened to so they’ll know what to do and will take action right away. 4. Change your other passwords – If you use the same password on OTHER websites then change them immediately. Since the scammer now has access to your email they may see that you get emails from a bank, Facebook, etc. and try to use the same password on those accounts as well. This is a good reason to use different passwords at different websites. 5. 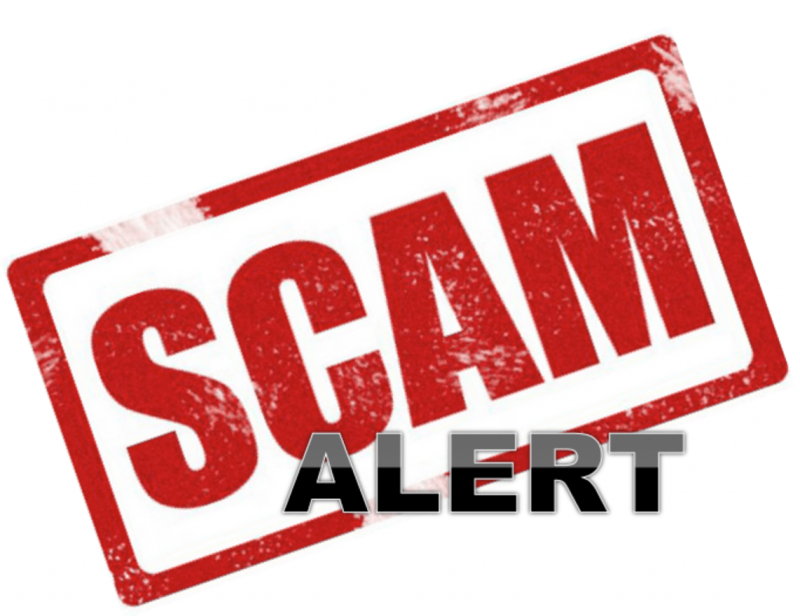 Let your friends know that your OK – post a message on Facebook or text / email your friends to let them know that you’ve been subject of this scam and that you are OK and to NOT send money. 1. Getting your email address back - In all likelihood you’ll get access to your email address again, it just might take a while. Follow-up with the email provider and ask them how to get access to your email account again. There is no telling if your contacts will still be there or what you’ll find when you get access to your account again but at least you’ll have the email address back. 2. Email lists – You and your friends may end up on the email lists of other scammers so be wary of other scams & solicitations sent to that same email address. 3. Use caution – the scammers got your email address because of something that you did, something that you clicked or something that you typed in. Use better judgment in what you do & enter on-line to avoid falling victim again. 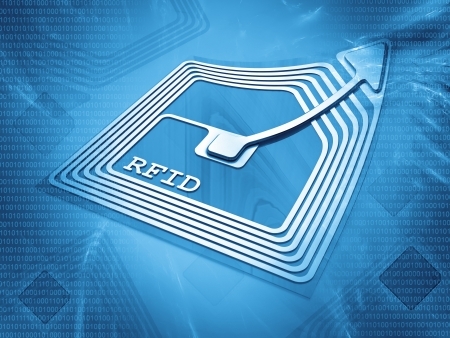 The Federal Trade Commission (FTC) estimates that as many as 9 million Americans have their identities stolen each year. This means that an identity is stolen every 3 seconds, costing the average victim nearly $4,000 and nearly 175 hours to straighten out their problems and their credit. How can you protect yourself from the dangers of identity theft? Here are some suggestions. Conduct a Credit Check-up – Visit www.annualcreditreport.com to obtain a free credit report every 12 months. Review all three of your credit reports and look for any suspicious activity, unusual or inaccurate names or addresses, or any inquiries that were done without your knowledge. In many states, you may place a 90-day "Fraud Alert" on your credit report, which further restricts access to your credit information. Simply call one of the three main credit bureaus to activate the alert. Here are the toll-free numbers: Equifax 1-800-525-6285; Experian® 1-888-397-3742; or TransUnion® 1-800-680-7289. Don't Give It Up – Avoid falling prey to phishing scams, both over the phone and through email. In a phishing scam, identity thieves pretend to be someone from your bank or a credit institution and simply ask you for your personal information. If someone contacts you and requests any personal information, don't give it to them. Verify who is requesting the data and why, and then call the institution yourself. One extra phone call could save you a lot of trouble and money. Stay off the Pharm – While phishing enables thieves to pilfer information from you, pharming is another kind of scam that consists of hijacking your computer and stealing your personal information. A pharming site is designed to look just like the website you're trying to visit. However, enter your information on this fake site and not only can it track your moves within it, it may also direct your computer to give up other personal information at a later time. Be sure you are visiting the correct site, that the address in the navigation bar is correct before entering any information. Return to Sender – Some scammers simply fill out a change of address form and divert your mail to another location. Others simply steal the mail they want right from your mailbox. The key to avoiding this scam is to know your statement delivery dates and pay close attention to any unusual delays in delivery. A lot of identity thieves do things the old-fashioned way: They rummage through your trash to collect your information that way. Be sure to shred any junk mail or other documents that may contain your personal information before you throw it away. Opt-out of Special Offers – Visit www.optoutprescreen.com to cut down on the pre-approved offers from credit card and insurance companies. It's also good idea to have your clients opt out as well, especially if they're thinking about buying a home. When people apply for a mortgage, they often become "trigger leads" to the credit bureau, who sell your clients' information to any number of companies. It only takes a few minutes to opt out, but it could spare your clients a ton of junk mail and could possibly save them from identity theft. Have a great Veterans Day. 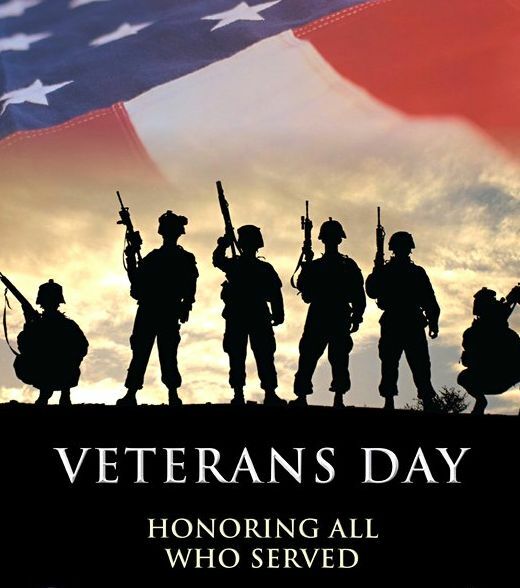 Enjoy being with your family and friends and, if the opportunity presents itself, thank a Veteran personally. I know it will mean a lot to them. The issue of employers classifying security officer and protective agents as “independent contractors” continues to be on ongoing problem in California and is, generally speaking, illegal. Despite this many employers do this to avoid overtime, payroll taxes and workers compensations premiums and many security & protective personnel, desperate for income or just trying to “break into” the field, accept these positions despite the risks. Some of these employers are based in California but many are based outside California and operate intermittently within the State. Since California offers no “grace period”, any security work done must be conducted by employees of a State licensed company and not by independent contractors. This law will hopefully encourage some unscrupulous employers to change their illegal practices in the hiring of security & protective personnel and help level the playing field for businesses following the letter of the law. On October 9, 2011, California Governor Jerry Brown signed into law Senate Bill 459, the “Worker Classification Bill,” regarding independent contractors. The law significantly increases the risks and penalties for misclassifying workers as independent contractors by imposing substantial penalties on employers found to have engaged in misclassification, as well as on advisors (other than attorneys) who advise an employer to engage in such treatment. The new law also includes what many have characterized as a “Scarlet Letter” provision that will require the offending employer to make a public confession of its unlawful behavior. “Willful misclassification" means avoiding employee status for an individual by voluntarily and knowingly misclassifying that individual as an independent contractor. Violators are subject to civil penalties between $5,000 to $15,000 per violation, in addition to any other penalties or fines permitted by law. Violators who are found to have engaged in a “pattern or practice” of violations are subject to a larger civil penalty of $10,000 to $25,000 for each violation. The law also provides no definition of “pattern or practice,” leading to the possibility that the higher penalties might be assessed where an employer has misclassified more than a single individual. The employer has “changed its business practices to avoid committing further violations” of the law. “Any employee who believes that he or she is being misclassified as an independent contractor may contact the Labor and Workforce Development Agency” [and the notice must list the agency’s mailing address, email address and telephone number]. Although the California Labor Commissioner is charged with enforcement of this new law, individuals may file their own complaints judicially. As a practical matter, by creating a private right of action with significant penalties, class action litigation potentially presents a greater threat than government enforcement. Ironically, Governor Brown’s signature came just days after the Internal Revenue Service announced its new Voluntary Classification Settlement Program (VCSP). The VCSP provides forgiveness of most of the amounts that would otherwise be due at the federal level for those employers that reclassify independent contractors as employees. Acceptance of the VCSP may be seen as a trap because it could make defense of non-IRS actions almost impossible. However, if the classification of workers as independent contractors is not well-founded, the new California law provides still another reason to make changes. The law is codified as Sections 226.8 and 2753 of the California Labor Code. The sparkling lights in the tree, I believe, completed the magic that was Christmas Eve. My eyelids were heavy, my breathing was deep, secure and surrounded by love I would sleep in perfect contentment, or so it would seem. So I slumbered, perhaps I started to dream. The sound wasn't loud, and it wasn't too near, but I opened my eye when it tickled my ear. Perhaps just a cough, I didn't quite know, then the sure sound of footsteps outside in the snow. "What are you doing?" I asked without fear "Come in this moment, it's freezing out here! Put down your pack, brush the snow from your sleeve, you should be home on a cold Christmas Eve!" I'm out here by choice. I'm here every night. Our freedom comes first 'til the dawn's early light. Its my duty to stand at the front of the lines, that separates you from the darkest of times. No one had to ask or beg or implore me, I'm proud to stand here like my father’s before me. My Gramps died at 'Pearl on a day in December, then he sighed, "That's a Christmas 'Gram always remembers." "My dad stood his watch in the jungles of 'Nam and now it is my turn and so, here I am. I've not seen my own son in more than a while, but my wife sends me pictures, he's sure got her smile". I can carry the weight of killing another or lay down my life with my sisters and brothers, who stand at the front against any and all, to insure for all time that this flag will not fall." "So go back inside," he said, "harbor no fright, your family is waiting and I'll be alright." "But isn't there something I can do, at the least, Give you money," I asked, "or prepare you a feast? It seems all too little for all that you've done, for being away from your wife and your son." For when we come home, either standing or dead, to know you remember we fought and we bled is payment enough, and with that we will trust that we mattered to you as you mattered to us". Private Officer International today released their year-end report of security officer deaths for 2010. According to Rick McCann, Founder/Executive Director, the association identified and confirmed 76 on duty deaths of security officers but estimates that the number is actually closer to 90. 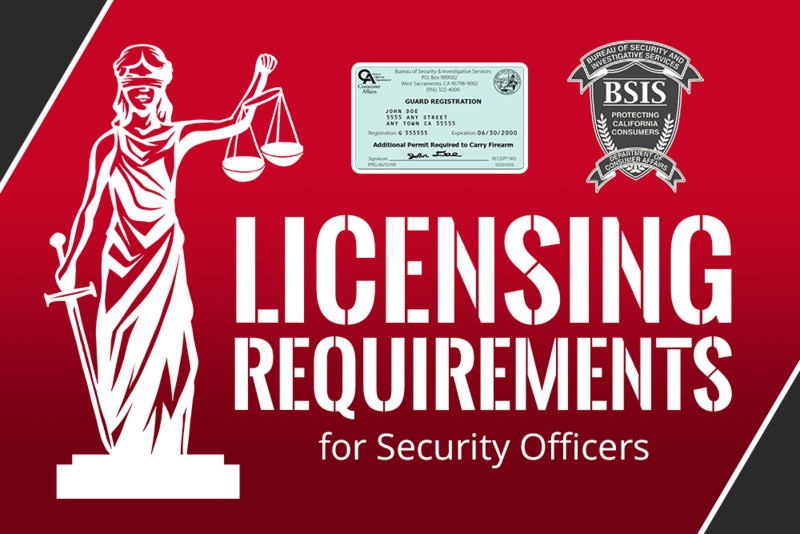 The discrepancy always comes from the way that security officer positions are classified by numerous federal and state agencies. While the job title may be doorman or watchman or pool guard, they all perform security related duties but are not categorized as security officers on federal statistical records, the press release stated. A practice that McCann hopes will change soon so that those who die while in the performance of their security duties are properly recognized, he said. The 2010 death total is up by 17 % from the previous two years and McCann attributes that to the increased duties and responsibilities of security officers, the increase in proactive response rather than the old "Observe and Report" method previously used which means that more security officers are being put into direct contact with active criminal activity, violent offenses and increased dangers. Injuries of private security officers substantially rose during this same period with a major jump in the life threatening area such as gunshots, stab wounds and trauma and McCann said that this increase is due in part to the more visible and active security duties of the private officer who often find themselves apprehending criminals, facing armed suspects and involved in confrontations as they protect their employers property, staff and customers. 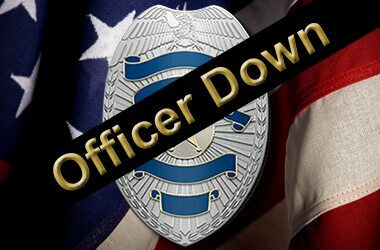 Many more security officers are involved in apprehensions and arrests of shoplifters, trespassers, robbery suspects and others who are committing crimes on properties under guard and security officers are playing a much bigger part in going after these people and being proactive in their duties. There is also a much wider use of private security in retail, residential, special events and other areas where there is more contact with the public, including criminals which makes the security officer more vulnerable to attack, assault and death. As security officer duties and scope of authority continues to increase and the profession takes on a more proactive rather than reactive response, injuries and unfortunately deaths of security officers will also steadily increase McCann said. That is why we, as an international association with members across the U.S. and in 16 countries are pushing for increased security officer training standards and qualifications so that these private officers will be better prepared and equipped to handle the added responsibilities and better safeguard themselves during the performance of them, McCann added. McCann also stated that they are also drafting legislation in more than two dozen states to make assaulting a security officer in the performance of their duties a felony and so far similar laws have passed in Texas, Illinois, Vermont, Florida and Missouri. Delta Protective Services is a highly awarded, professionally trained, licensed and insured security company that offers uniformed, armed, mobile, video monitoring and specialty security services throughout California. Is your business covered when it comes to today’s uncertainty?